Express your love and devotion with the traditional elegance of this stunning red rose casket spray. 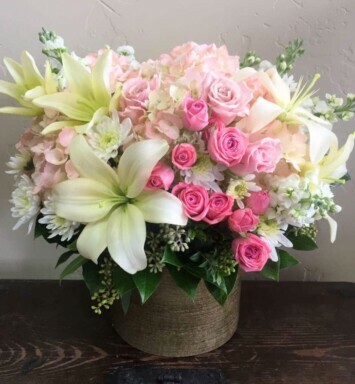 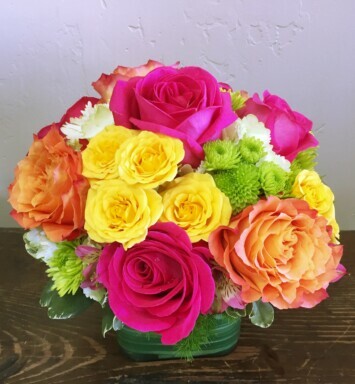 Ideal for a full couch or closed casket service, the impressive display features a generous array of bold, beautiful blooms. 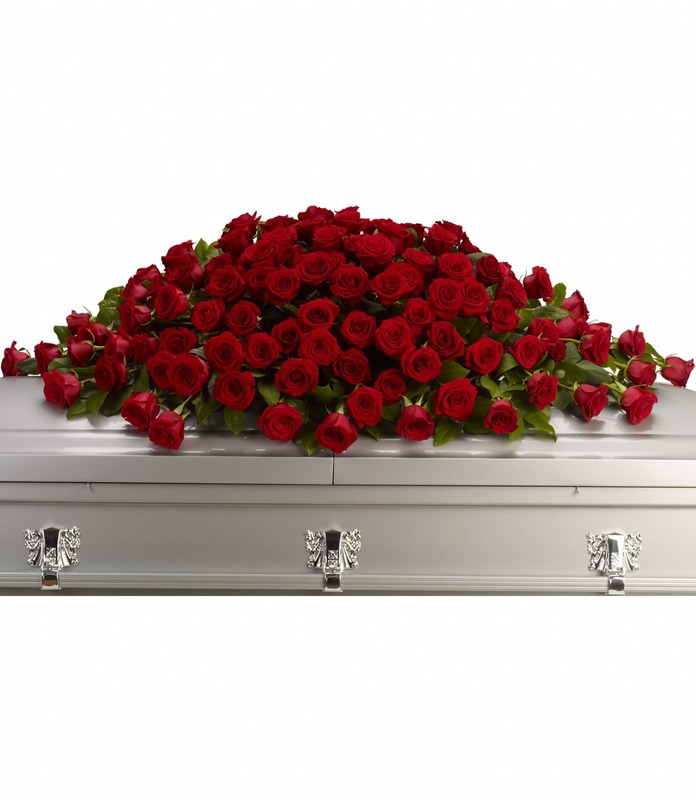 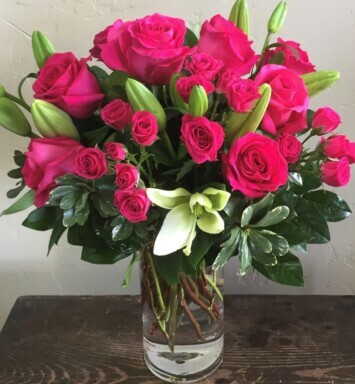 Red roses are arranged with rich green salal into a classic casket spray.